Click on a date and the Event window will pop-up. Select Task from the pop up. 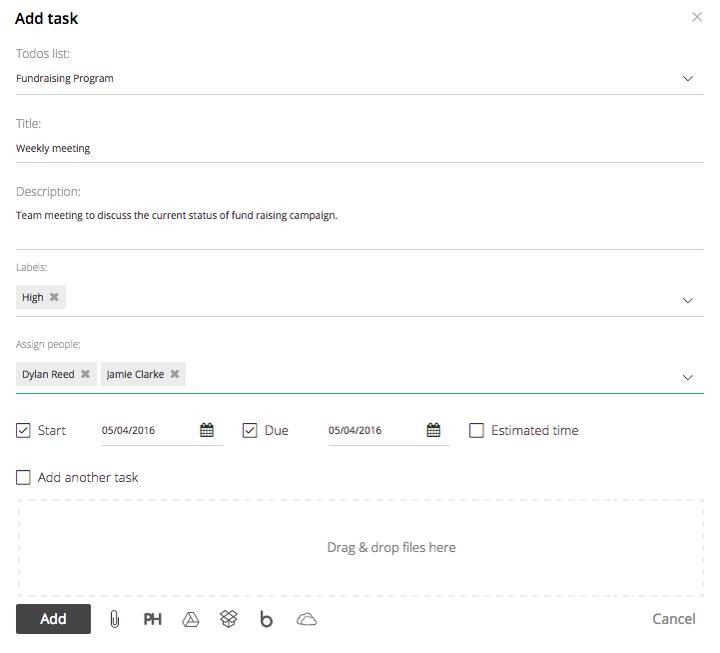 In Add Task pop-up, select the task list and add all necessary details like title, description, start and end date, time estimate, etc. to add a task. Click on Add and the task will be added. Click on the date on which the milestone will be due. Select the checkbox Is milestone to make it a milestone. Select the Mark as private option if you want to keep this private between assigned people. You can also set due date of milestone on this popup. To assign people, click on Edit details select people from dropdown and click Save. Click on the date for which you want to create the event. Set the duration or mark it as All day event. Click on Add and the event will be added. 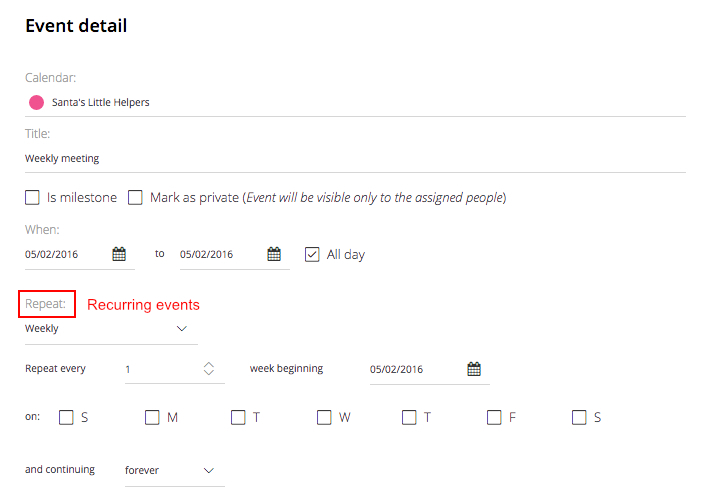 To create a Recurring event, click on Edit details. Subscribe people to the event by selecting people from drop down. On the event detail page, select the frequency of repetition from the Repeat dropdown and click Add. Go the the Event details and select Reminder from the dropdown. 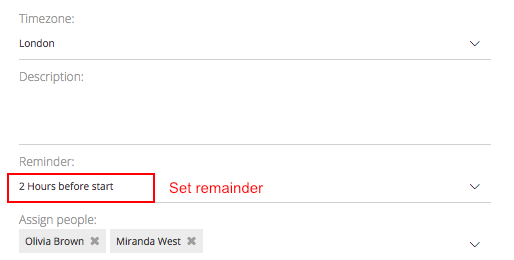 Select how much time before the event, you want the reminder and click Add.